Come out and enjoy a special Air Show at 8pm from pilots Steven Bennet, Vicky Benzing, Will Allen, and Renny Price! 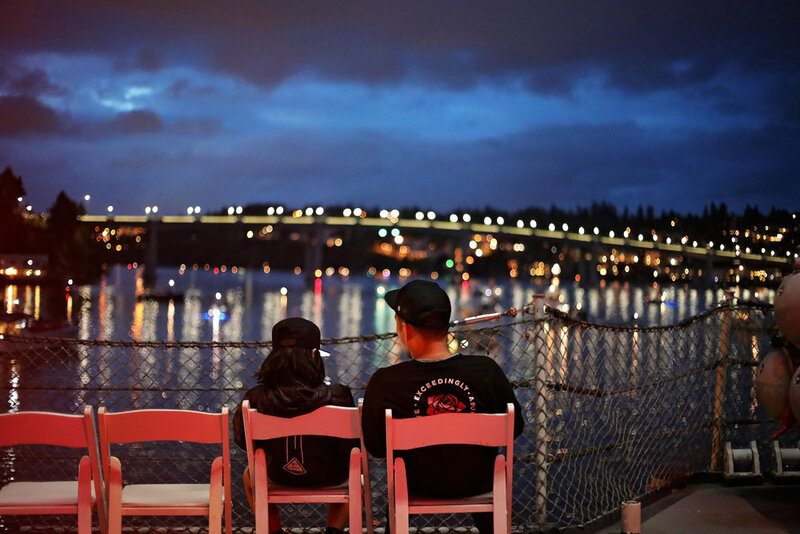 The Manette Bridge will be closed to vehicle traffic on June 29th, from 8:00 AM - 2:00 AM. Use Warren Avenue bridge instead. Boat traffic under the bridge will be closed from 9:30 PM - 10:45 PM. Boats are prohibited from anchoring in or traversing the airshow area from 7:30 PM - 9:00 PM. Help make 2019 an explosive success by donating below. Packages include a deluxe dining experience and one-of-a-kind viewing from the USS Turner Joy.